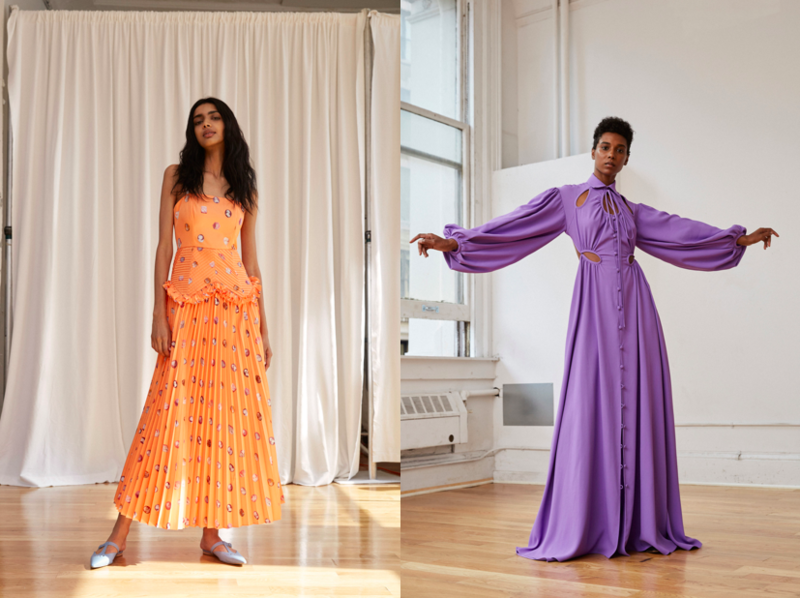 If you think of New York fashion week in terms of recognizable style signatures, then Rosie Assoulin‘s remarkable dresses count as a separate. She is in a one-of-a-kind category on her own. 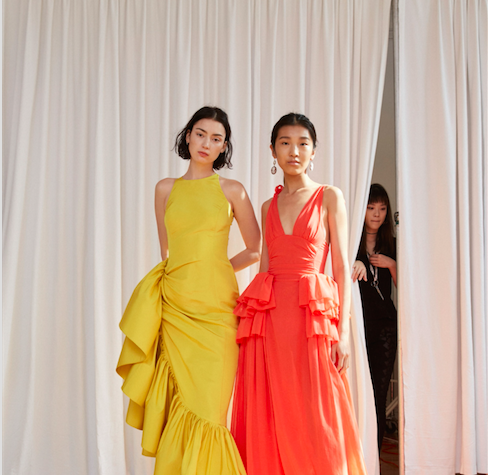 Her evening wear, and daring daywear, is all about the most flattering silhouettes and charming details that you really have to observe first. Then onwards, in order to understand their intimate beauty. This time around, Assoulin’s little, tiny detailing was even more precious than usual. It was all about the cameo carvings that is used in classical jewellery. That reoccurring theme was presented in form of prints developed from antique cameo carvings; what’s more, genuine, hand-sorted cameos were used as buttons for the sleeves and gowns. The delicately ruffled dress in pistachio green, covered in the delightful cameo motif, is my ultimate favourite. Again, you have to be observant to note another detail: the sea-shells, that were beautifully placed on the label’s must-have baskets and handbags, made you wonder how nice would it be to take them to the beach next summer. 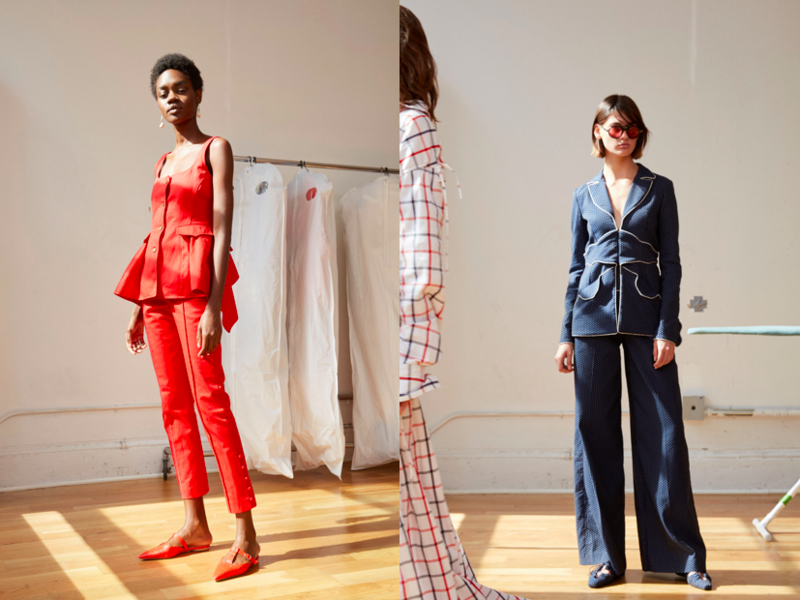 One should admit that this season started with a splash of bold colours, coming from many big names and up-and-coming designers, but Assoulin doesn’t follow the trends – colours. With this said it is worth noting that juicy red like last season, or the deep shade of purple – are always warmly welcomed in her well-edited collections. 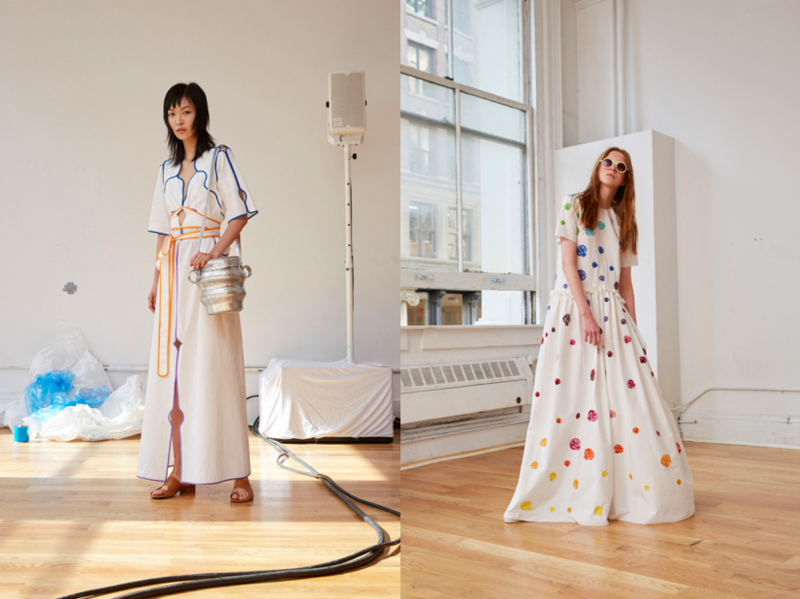 This entry was posted in New York, Trend Reports and tagged new york, nyfw, Rosie Assoulin, Spring 2018, SS18. Bookmark the permalink.